Sefton health commissioners visited Bootle Town Hall to discuss their work around improving medicines safety with local community group, People First Merseyside. Susanne Lynch, head of medicines management and Geraldine O’Carroll, senior manager commissioning and redesign from Sefton’s two clinical commissioning groups (CCGs), were invited to a meeting of People First Merseyside’s ‘Get Involved Group’. 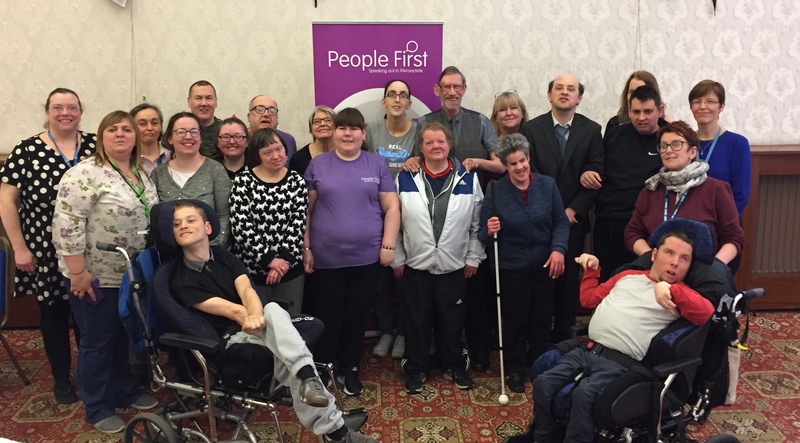 People First Merseyside is an organisation for people with learning disabilities, managed by people with learning disabilities, that has been supporting adults in Merseyside since 1988. After hearing an update from the CCG team, members of the Get Involved Group had the chance to ask questions about the CCGs’ Repeat Prescription Ordering Scheme (RPOS) as well as other medicines queries they had. The session is part of an ongoing programme of engagement by NHS South Sefton Clinical Commissioning Group (CCG) NHS Southport and Formby CCG around their work to improve medicines safety and reduce waste amongst borough patients. It is also a chance to hear feedback from a range of different groups and communities about how well some of their schemes are working for patients.